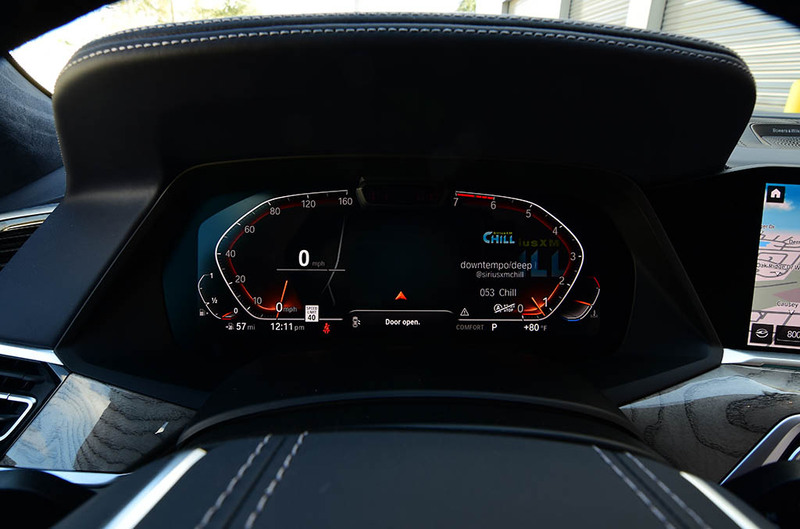 I often jump at the opportunity to drive an exotic vehicle or one of the few in my personal fleet because it’s just darn fun. 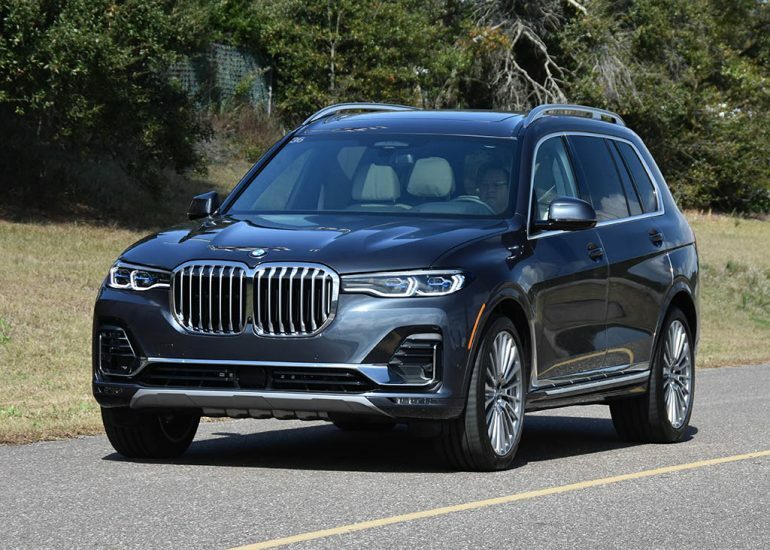 However, when the time comes to drive the latest and greatest SUV or crossover, I’ve had reserved feelings, but those notions have recently changed because of vehicles like the new Mercedes-Benz GLE, Lincoln Navigator, and now, the new BMW X7, which my local BMW dealership told me to come check out. 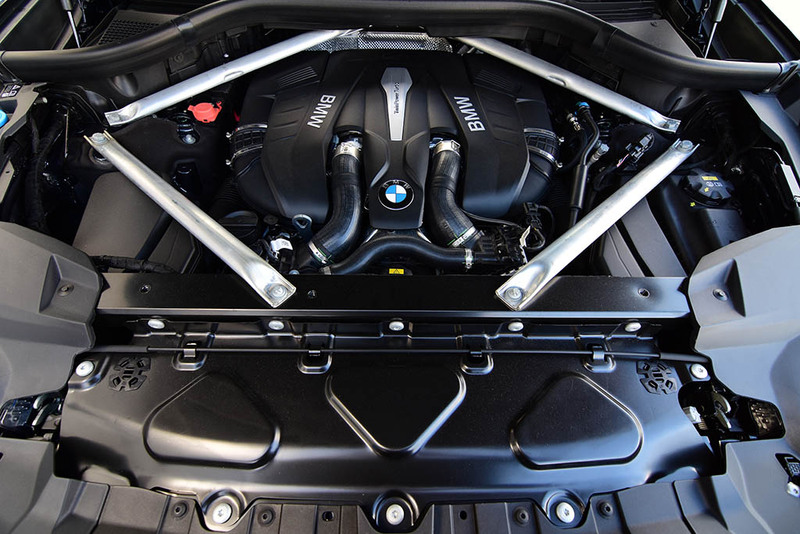 Tom Bush BMW has always been a huge supporter of my many automotive endeavors, and they often give me a shout when they get something new and exciting in for inventory. For this week, Tom Bush BMW handed me the keys the new BMW X7, the brand’s new full-sized luxury SUV, something that adds to the appeal of Americans who literally live large and seek crossovers and SUVs over traditional sedans and full-sized S-Class and 7 Series luxury sedans. 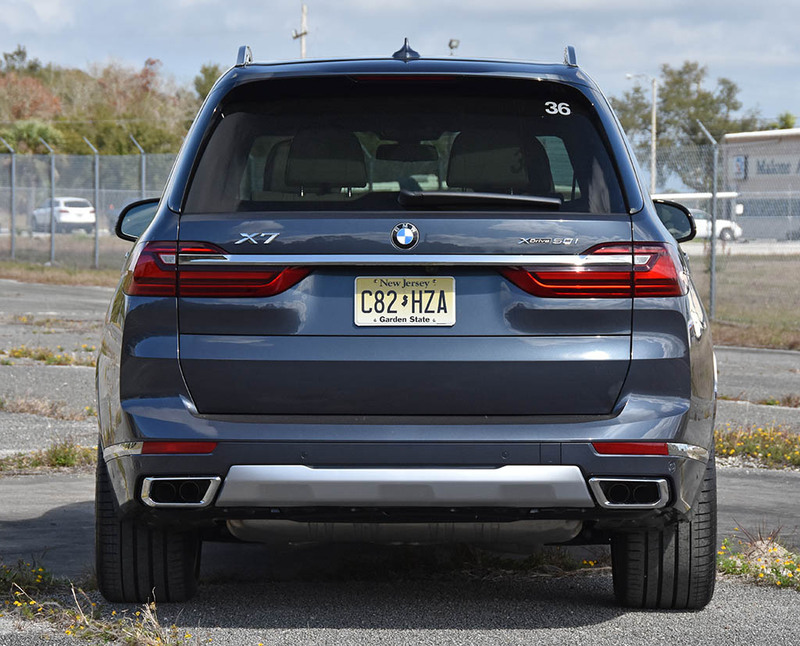 From my very short drive and time with the new BMW X7 I am reminded of my favorite vehicles to take home for a week or two for review – the new BMW X7 was something that I wanted to keep for a while. 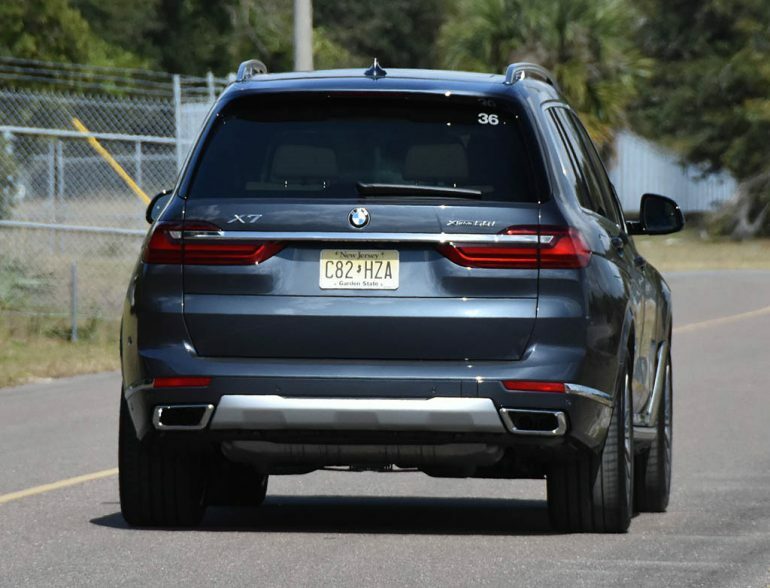 Though, giving some short first impressions of the new X7 had me at pause because it was simply astonishing. 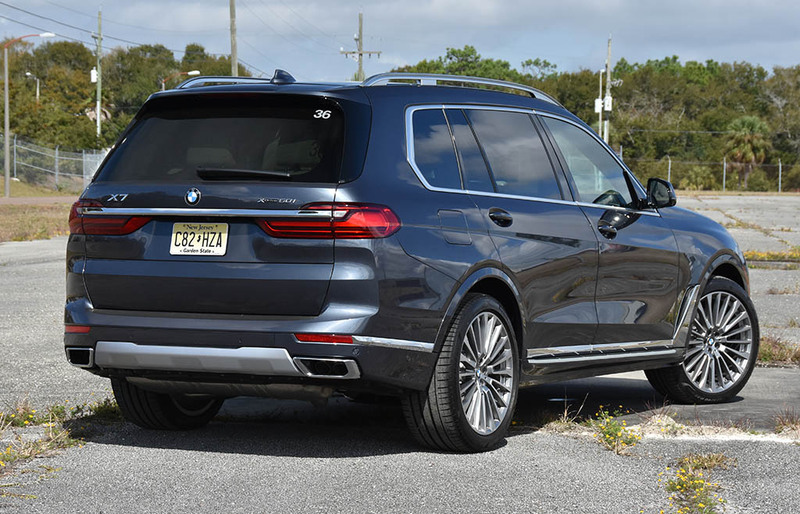 In my quick assessment of what the X7 offers it appears to set a new tone for full-sized SUVs, something that you can’t find in a Cadillac Escalade and something that you barely get in a new Lincoln Navigator, and that’s the plushness that you expect in a top-trimmed S-Class or the luxury appointments in the new Maybach. 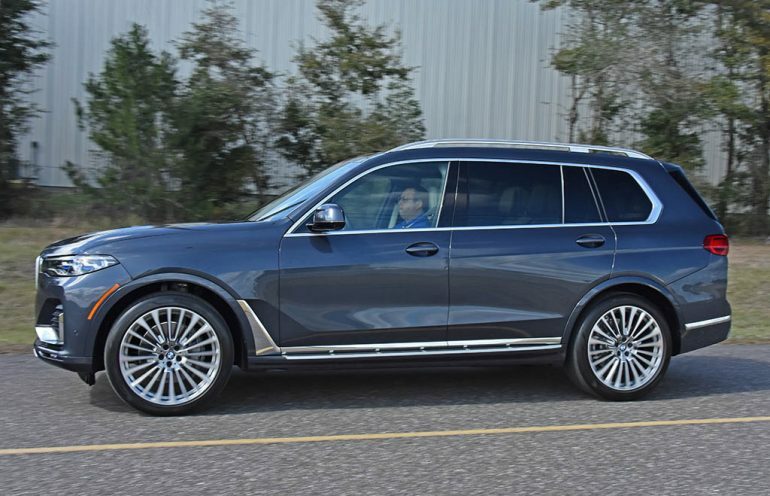 Yes, the X7 is nearly that wrapped up in a large and in-charge SUV package that is going to give Mercedes-Benz GLS buyers a second thought. 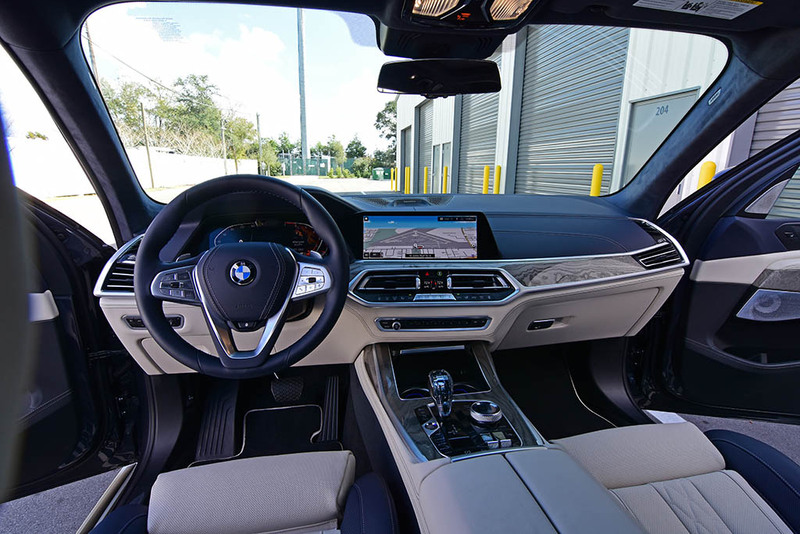 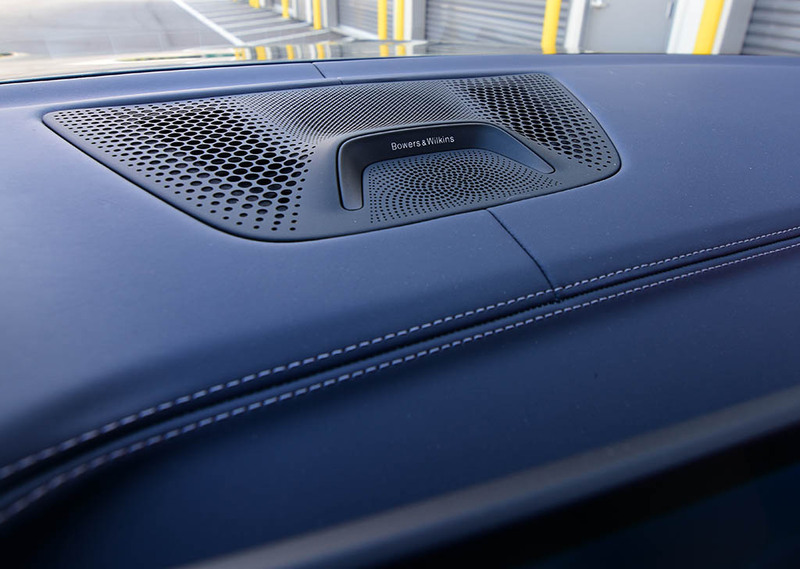 The expected latest iteration of BMW’s iDrive system with a large touch screen mounted atop the dash proved to bring a plethora of tech features and immersion into the customization of the vehicle with a slight learning curve. 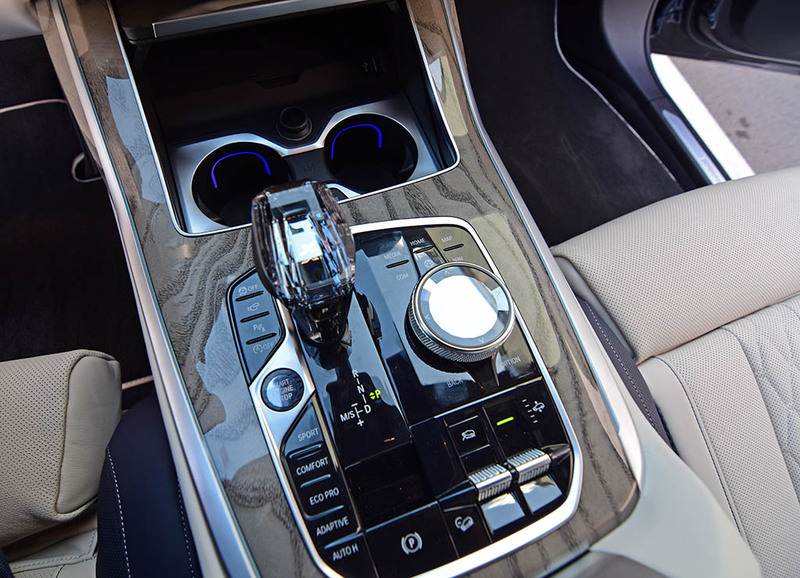 Still, the iDrive system in the X7, most of what I experienced in my recent BMW X5 review, is the best the system has ever been. 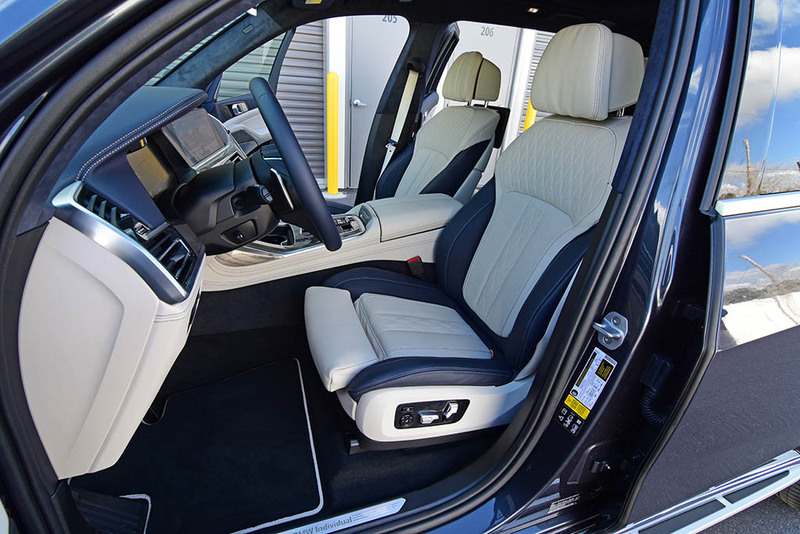 For once, the new three-row full-size BMW X7 SUV adorns the second-row with a bounty of features, such as multi-way power-adjusted seats, heating, cooling, massively-large infotainment touch screens, soft pillow headrests, ample leg room, and easy power-folding access to the third row of seats. 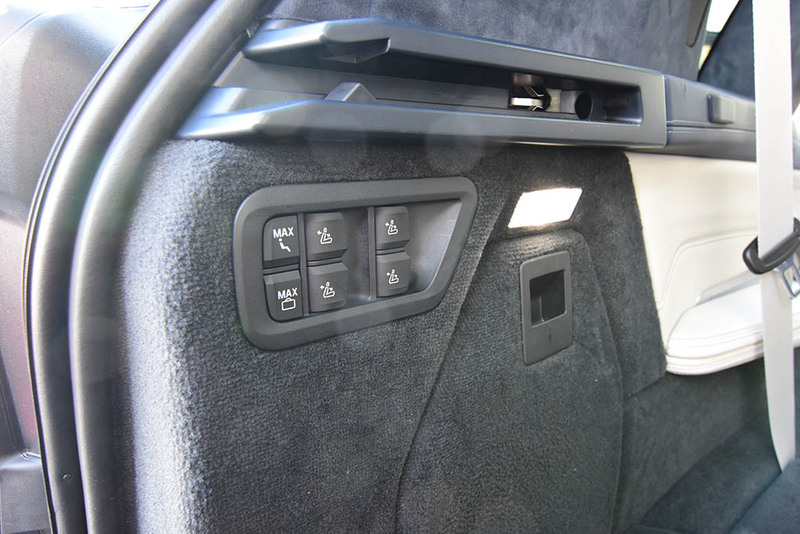 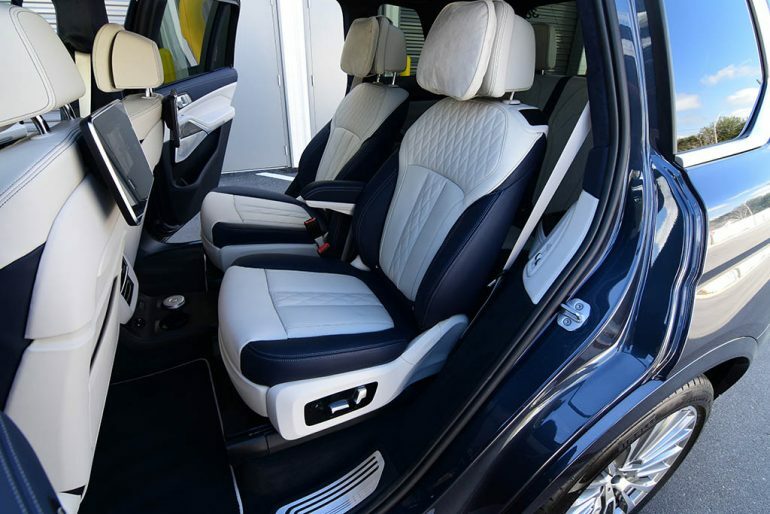 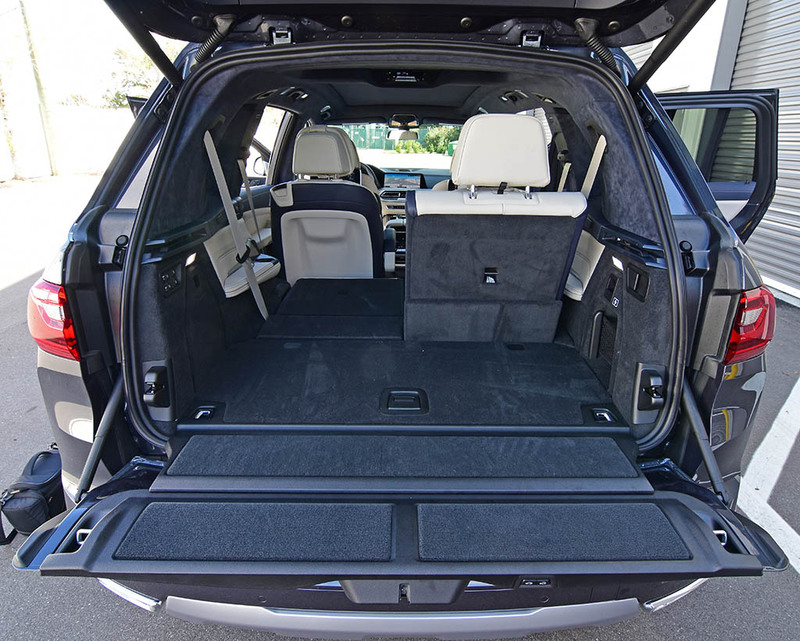 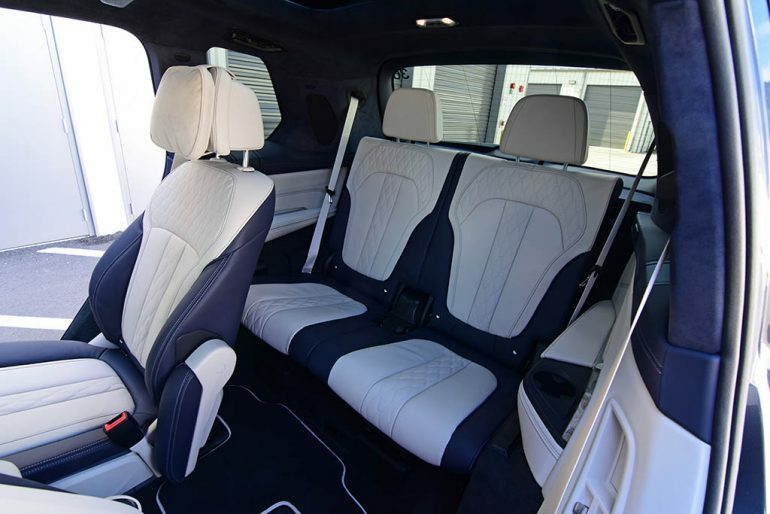 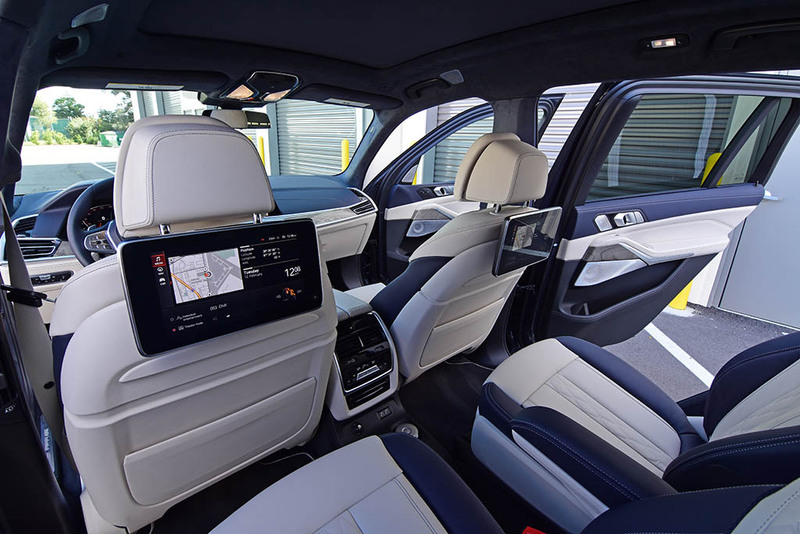 BMW didn’t leave any stones unturned with the new X7 – the third-row seats even have their own climate-controlled zones and enough room for two adults to sit comfortably with their own power sunshade for a sliver of a glass roof. 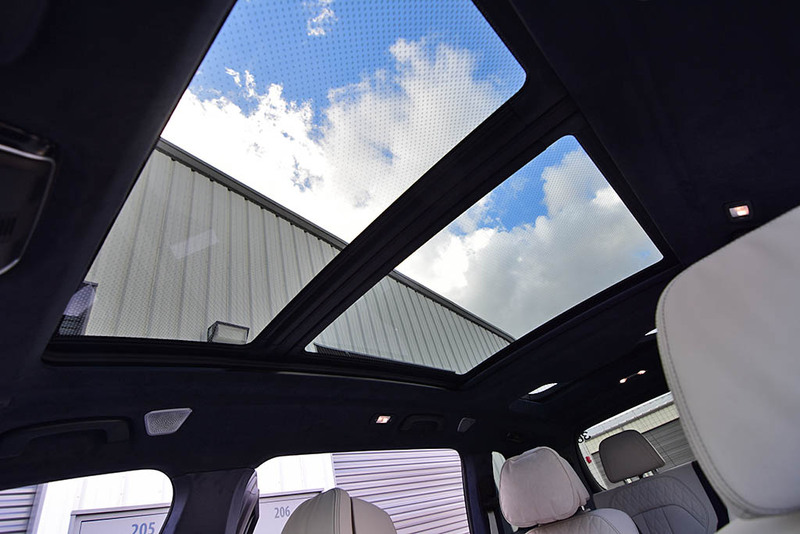 The rest of the glass roof serves the front and second-row passengers and delights them with a gigantic SkyLounge LED-lit glass panoramic roof that changes colors for a mesmerizing twilight effect at night. Powering the new X7 xDrive50i is BMW’s twin-turbo V8 with 456 horsepower and 479 lb-ft of torque that feels more like north of 500 horsepower and even more torque once you put your foot down. 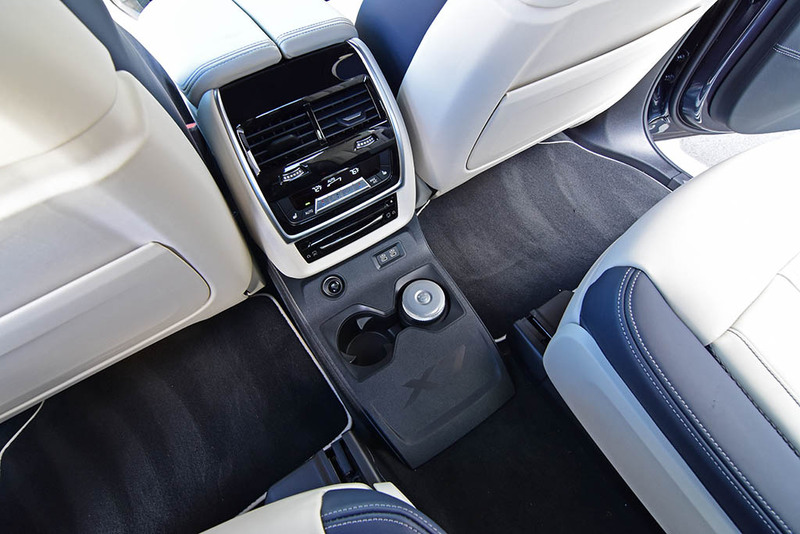 Overall, the X7 drives smaller than it is and feels nimbler than something so large should. Some of that is thanks to my loaded test vehicle having massively-sized 315/35 R22-inch tires and an adaptive air suspension system that comes standard on all trim levels. The four-wheel steering added to the agility of the X7, virtually shrinking its elongated wheelbase. 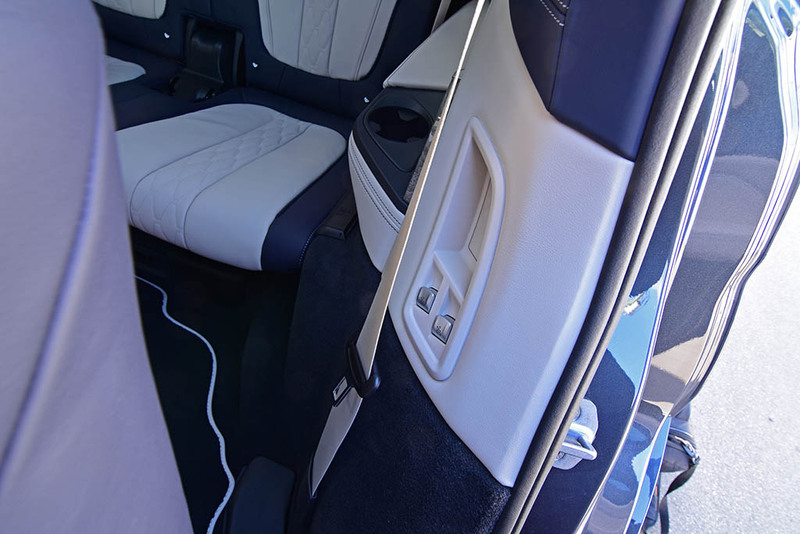 The smoothness of the ride quality combined with an assurance of driver feedback appears to be one of the X7’s major selling points – which time will tell. 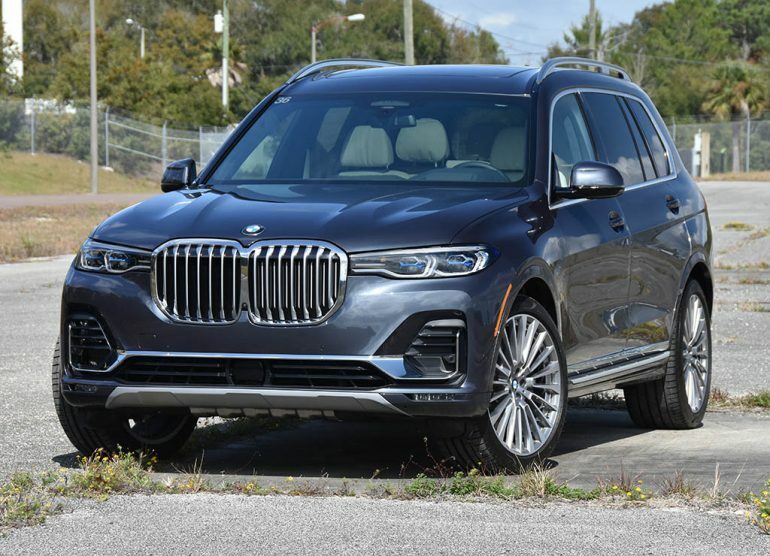 For now, I can’t wait to spend a little extra quality time with the new BMW X7 and tell you all my additional findings. 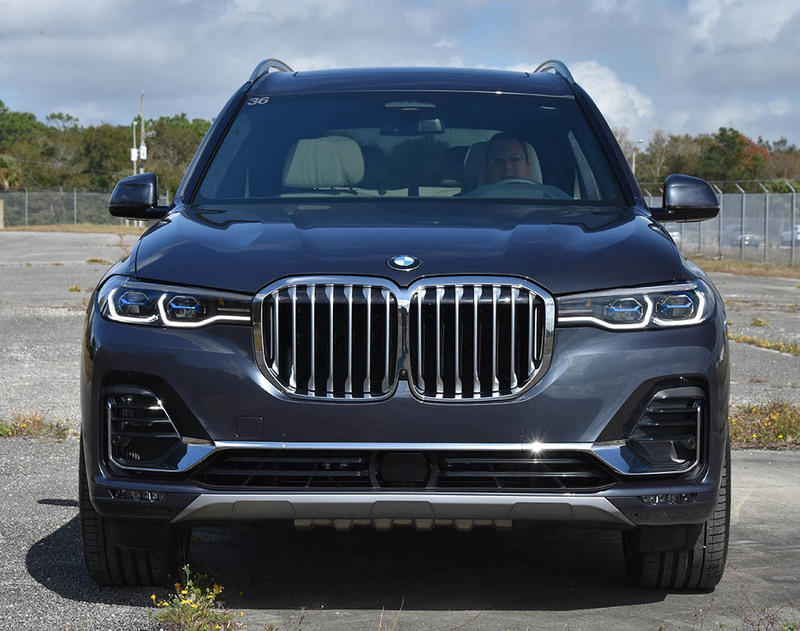 I want to thank Tom Bush BMW and Marco Granado for the quick drive in the X7 and direct any questions or pricing to them if you’re interested in the latest large luxury SUV that looks to somewhat steal its specialized segment.